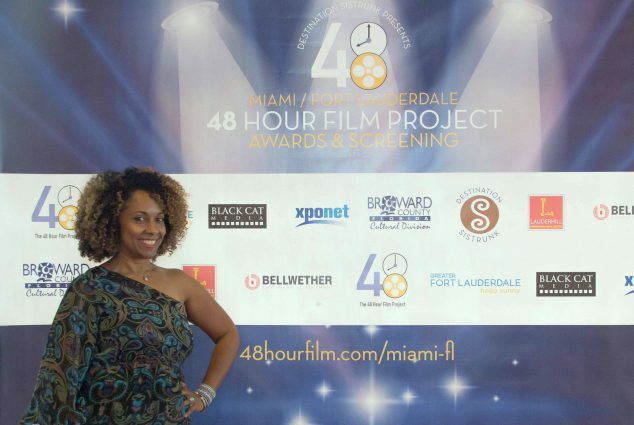 Introducing the producer behind South Florida's 48 Hour Film Project and how she used her recent grant from the Community Foundation of Broward to increase it's visibility. 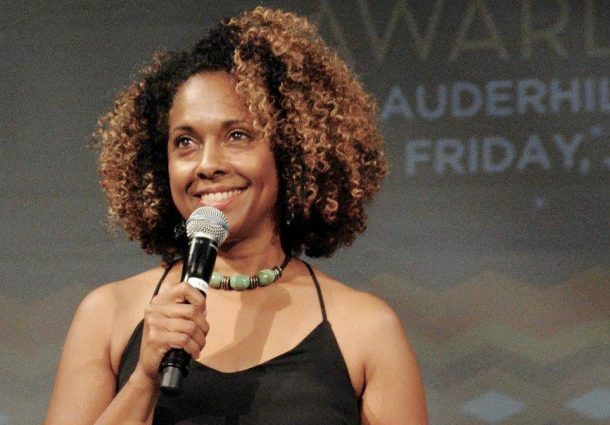 Cathleen Dean is a writer/producer, filmmaker, artist, and educator, and is currently an adjunct professor at Nova Southeastern University in Davie, Florida, teaching video field production. Photo by Karime Arabia. The 48-hour Film Project (48HFP) visited Miami and Fort Lauderdale June 1- 3rd to host an action-packed weekend challenging film-makers and creatives to produce a short film – from scratch -within 48 hours. The 48HFP takes places in 130 cities, six continents and is the world’s oldest and largest timed filmmaking competition. For the last eight years, the woman responsible for producing the Miami/Fort Lauderdale project and for pioneering the idea to merge the two cities into one encompassing development, is Cathleen Dean. As a recipient of the Cultural Division’s Community Arts Education Partnership grant, Dean was also selected as one of seven local artists to benefit from a $35,000 award to the Cultural Division from the following Funds at the Community Foundation of Broward: Fonda and H. Wayne Huizenga Jr. Family Trust Fund, Gary J. Scotto Fund and Mary and Alex Mackenzie Community Impact Fund. She allocated the additional support towards marketing and public relations for 48HFP across south Florida to as many, emerging or established, creatives as possible. When Dean became involved eight years ago, the activity and popularity of this project improved and connected South Florida and the weekend event became more than a film project, it became an opportunity for different cultures to connect with and experience one another. Dean also started hosting educational, film-related events across Fort Lauderdale; she provided screenwriting and film workshops at the Writers Room in Hollywood and hosted mixers with filmmakers around Broward County prior to the event. In 2012, to make the festival more inclusive, she moved the premiere film screening to the Hollywood Performing Arts Center. This year, in a continued effort to expand the project’s reach, the kickoff took place at Wynwood Yard in Miami while the premiere screening and award ceremony was held at the African American Research Library and Cultural Center (AARLCC) in Fort Lauderdale which Dean was able to gain access to through her role as a Destination Sistrunk Artist in Residence. “[The most exciting part] is the collaboration and partnerships that are forged. For people who have never experienced a weekend with 48HFP, the excitement is unreal.” Dean noted, “It’s an intensive team-building exercise and I love to see how the artists continue to collaborate when it’s all over.” She compared the project to a corporate team building retreat, where, instead of completing specific team activities, filmmakers are running about the city creating a short film based off clues picked from a hat. The additional support provided by the Community Foundation boosted the visibility and awareness of the event, and will allow her to continue to grow this effort in 2019 leading up to next year’s festival. Dean also used this funding to provide more training and resources to the participants, and she hopes that the winner of this year’s project will be selected for a screening at the Cannes Film Festival. In the future, Dean is looking to get involved with more high school students and drama programs to educate them about film and to stir excitement in a field that is anything but ordinary. To see the winners of this year’s project, click here. More on Destination Sistrunk Artist Residency here.